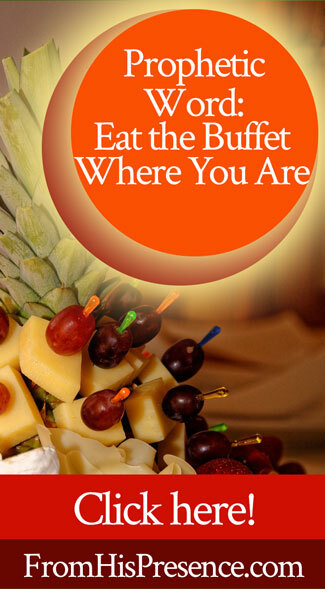 Prophetic Word: Eat the Buffet Where You Are! Are you looking forward to your future so much that you aren’t sure what to do while you’re waiting? Have you even become discouraged with where you are now, because the dream of more is so strong inside you? If so, I have an encouraging word for you today! … higher level in God, work, or ministry. I dreamed I was on an international flight from London to the USA, but the plane would not take off! Instead of taking off, the plane–a big jet–just kept taxiing around. It even left the airport and taxied all over London, including driving in the river–but it did not take off! We waited for the plane to take off for hours, just riding around. It was very frustrating! However, we were allowed to get on and off the plane for our comfort. We could wander around the airport. And at the immigration/passport-checking station inside the airport, just inside the secure area, I found a big, fancy, beautiful buffet of food. The buffet was decorated beautifully, with flower arrangements on the tables. It included many foods I don’t eat–something for every taste. However, it also included some of my favorite foods–foods which I have been craving! It had macaroni and cheese, mashed potatoes, gravy (mussel gravy, which I could not eat because I’m a vegetarian), and more. We had full access to the buffet while we were waiting on the plane to take off. So I walked to the buffet and loaded up my plate with macaroni and cheese and mashed potatoes. It was the food I was craving, and I was so glad to have it! 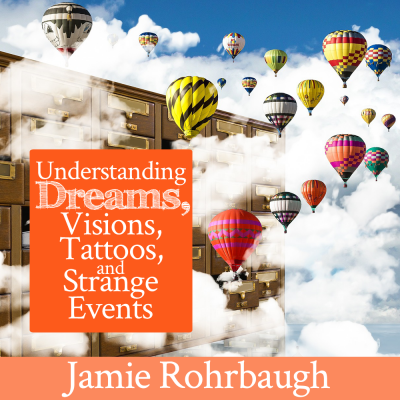 For help understanding dreams and visions, grab my MP3 teaching series Understanding Dreams, Visions, Tattoos, and Strange Events! Lessons 1-4 are available for instant download (2 different products) on my Gumroad store. What do the symbols in this dream mean? Vehicles represent jobs or ministries. The plane in this dream represents a job/ministry that flies at a high level and carries many people. Since it’s a jet, it will travel fast after it takes off. The river represents Holy Spirit and revival. Taxiing around town, and in the river, refers to occupying yourself where you are in the river of revival, while you wait for God to do more. The airport is a place of waiting for jobs or ministries to take off. The immigration/passport station is the place where you get approved to go to a higher level. The buffet represents unlimited food for every person. It contained food for every taste. This represents unlimited spiritual food for everyone, no matter what their needs are. Of note, that buffet contained carbohydrates–macaroni and cheese and mashed potatoes–which give energy and strength. There is also a double meaning in the “mussel gravy,” because eating at this buffet gives spiritual muscles. Taxiing: The plane was prepared and ready to take off, but it didn’t actually do so. It wasn’t time yet. Instead, it kept busy in its own city and in the river of revival. What did this dream mean to me personally? This dream was important to me because I have been praying about the direction of our ministry. I have such a large vision from the Lord, but many of the things the Lord has put in my heart haven’t happened yet. We are ready to go to the next level … but we haven’t taken off yet. However, I am currently in a time of waiting for certain things. (Isn’t that just like God? He likes us to wait sometimes!) 🙂 This time of waiting isn’t bad; we are still in the river of the Holy Spirit–right where God wants us to be, running in revival! My instructions from Him for the current time, though, are to make the absolute MOST of what I have available to me NOW. The Lord told me through this dream that I have plenty of food available to me now. It’s food that I’ve been craving; food I need for strength; and if I take full advantage of what’s available to me NOW, it will give me spiritual muscles. So basically, He was telling me to do all I can to maximize where I am at the moment. He’ll lift the ministry up to the next level (takeoff) when the time is right. What does this dream mean to you? Your heart is right and you’re on your way. But, it’s not quite time yet for the full takeoff. While you wait, I believe you are to take full advantage of the beautiful, fancy buffet the Lord has provided for you right where you are. Your takeoff IS going to come. Your jet is on the queue for takeoff! It’s going to carry many people a long way when it does take off! Your dream IS going to happen! But while you wait, maximize this moment! The buffet of the Lord is hand-crafted. He’s made it beautiful for you. I would soon subdue their enemies, and turn My hand against their adversaries. The haters of the Lord would pretend submission to Him, but their fate would endure forever. Your desire is for more, and that’s a good thing. But at this moment, the Lord wants you to eat fully from the buffet where you are. The buffet where you are will give you spiritual muscles. It will satisfy your cravings. Personally, I am living a dream come true. For many years, I have dreamed of being able to preach and minister full-time … and now I am! Glory to God! It truly is a miracle; only He could have done this. So even though I long for more, the Lord has already done so much for me. Yes, it’s true that I have a vision for the future. I dream of more preaching, more equipping, more outreach, more people encouraged and built up. More people launched into ministry. More laborers in the harvest field! And yet, I have a buffet available to me right now. The Lord has blessed me so much right NOW with our ministry as it is, that I would be so grateful even if He didn’t do anything else. So the Lord told me to eat at the buffet where I am. Pour everything I can into where we are RIGHT NOW, without worrying about when we will have more. I believe He’s saying the same thing to many of you. That doesn’t mean we don’t change and transition. Change always happens, and we are in a HUGE season of transition across the Body of Christ right now. If the Lord is moving you, re-aligning you, or repositioning you right now, move with Him! Now is a critical time for re-alignment in the Body! But it does mean to pour everything you have into the opportunities you DO have. It means you eat at the buffet where you are. You maximize every opportunity you have in the place you’re at, as long as you’re still there. Are you a singer, waiting for your big break? Use every opportunity to hone your voice, master your instrument, write new songs, and be a good steward of the opportunities you DO have … all while you wait for the next thing. Are you a builder, and you long to stop doing renovation work so you can develop a new subdivision? Go ahead and take the steps the Lord shows you to take toward your dream. However, while you wait, do the best work you can at all your renovations, and serve your customers well. You never know what kind of doors He will open for you, using your current situation as a foundation for the future! Are you a scientist, wishing you could get out of your government job into a private-sector job that pays more? Brush up your skills and apply for new jobs! But while you wait, do the best job you can where you are. Become a good leader. Develop your team-building skills. Hone your research and master your current subject matter more than you ever have before. Many of us have been so forward-focused that have forgotten to enjoy where we’re at. If that’s you, the Lord wants you to know today to go ahead and eat at the buffet where you are. Don’t abandon your flight (your dreams) and don’t become unprepared for takeoff. However, you need strength for today … and that strength will come from fully enjoying AND MAXIMIZING everything the Lord has provided for you while you wait. Does this word resonate in your spirit? If so, please leave a comment below. I love to hear from you! Great word..enjoy the now so you can enjoy the next! My girlfriend sent me your email this morning. I started reading about others who are being impressed upon to pray for President Trump as I am, and was encouraged by the message of others in the same mindset. As read further about your dream, I started to get teary eyed knowing that the message of your dream may apply to me. I have been spending time with Lord diligently for many years and in that time I have received much peace, love and strength in who I am as follower of Jesus. I think often how I would love to be able to share some of the beautiful Truths with others. I had recently come to the idea that my desire to share and be others who are like minded maybe in the millennial reign and not at this time. Last night in the early morning my dream was of a strongman after me to kill me, and I was being lured into a sin from my past (not a type of dream I usually remember). In the dream I fled the strongman, and resisted the temptation in my dream. When I awoke I was elated that I had overcome the temptation in a dream state! That temptation was not recent it came from a time of about 20 – 30 years ago! Just this weekend, I received a new word, about how my Father in Heaven is also my King! My spirit soars as I gain more understanding of who we are as believers in the Most High God and the saving power of the shed blood of our Savoir Jesus Christ. We are sons and daughters of the King of the Universe! Your message is uplifting and I’m glad to know your ministry. Thank you! Thank you, Jamie . This word certainly is a confirmation on several levels. I have been waiting on God’s timing for putting my house on the market, waiting on an investment to come to fruition and for complete healing of the weakness in my body, so I can be “normal ” again. The attack on my body was for a good purpose, but I’m ready for full recovery ?. My finances have been greatly challenged for quite some time, as I have just not felt ?? enough to be out in the marketplace, promoting my business, which is an amazing water ? ionizer, that actually reduces aging by producing living water . This week the Lord miraculously brought a couple whe desperately needed the machine, and I didn’t have to sell them . They saw the need and couldn’t wait to get it in their house ? Thanks Jamie.This dream definitely relates to me and I imagine to many other people also. Thanks for the encouragement. Great word! This was so encouraging to me. That’s exactly where I am right now. I have launched a website based on a download I received from God. Although I have had some success, it hasn’t ‘taken off’ yet. And now I’m helping take care of my elderly dad, so I don’t have as much time to work on the business. 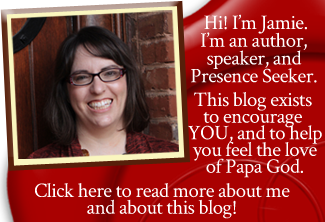 This blog post confirmed that I’m right where God wants me and I just need to take good care of the clients I already have and continue reaching out to more prospects … and God will take care of the timing of the takeoff. Thank you! I thank God for leading me to your site. I find almost everything that I wanted to learn more. I am so blessed with every writings that I get to read from your blogs and it encourages me to learn more about God. You just dont know how you have blessed me through sharing the wisdom and revelation that you have through your intimate relationship with the lord. How I prayed that I live around your area so I can be sorrounded with people like you, always full of passion for Christ. God bless you more, and may the Lord fulfill all the desires of your heart. Thanks Jamie. This was so encouraging to me and enriching. I went to the Brownsville Revival S of M. After graduation, immediately went to the mission field. After years of basking in the Glory & getting a new fresh touch night after night, I realized that it wasn’t like that in other places of the world! My spiritual bubble had burst. Granted, God moved powerfully on the mission field & I am still in awe of the lives impacted by His Spirit. But I admit I was conditioned to keep looking for the rest of the unfulfilled ‘Words’. Long story short:. I went through a loooooong dry season but so GRATEFUL I did! I learned how to be content & live & serve in the moment! I learned how to WAIT on THE LORD! Most importantly, I learned how to SHARE in His suffering…which was my prayer throughout the BRSM time. Thank you for sharing your dream, the HS quickened a couple of things I had forgotten. Be blessed!! Jamie, I thank God for you. Your such a blessing to me. God’s using my sister whom is speaking his prophetic word into my situation. I give God the honor and glory and I bless His holy name!!!. Again be blessed. Always some timely message, I need to enjoy now.